Now that you are done with your series, it is time for you to make more art. YOU CAN NOT SIT AROUND FOR THE NEXT MONTH DOING NOTHING!!! YOU MUST BE CREATING ARTWORK DAILY. This doesn't mean one work per day. It does mean that you will be proposing what you want to create, then you will create it. When you are finished, you will repeat this process. This will continue until I tell you it is time for our final artwork. Please fill out the proposal for by clicking on the button below. After filling out the form, please tell me, Mrs. B, that you have filled out the form so I can have a dialogue with you about what you want to create. Digging Deeper: Slide show for you to learn more about how artists steal. This section is due by FRIDAY, JAN 20. Here is the RUBRIC for how your learning will be graded. Challenge: A little warm-up exercise to help you begin to put what you learned about copyright, appropriation, and parody into practice. Due by WEDNESDAY, JAN 25. When artists observe, they don't just look quickly...they really take a good, hard look at what they are observing. What does the Artistic Behavior “Artists Observe” mean? What did you learn from the sketching activities? 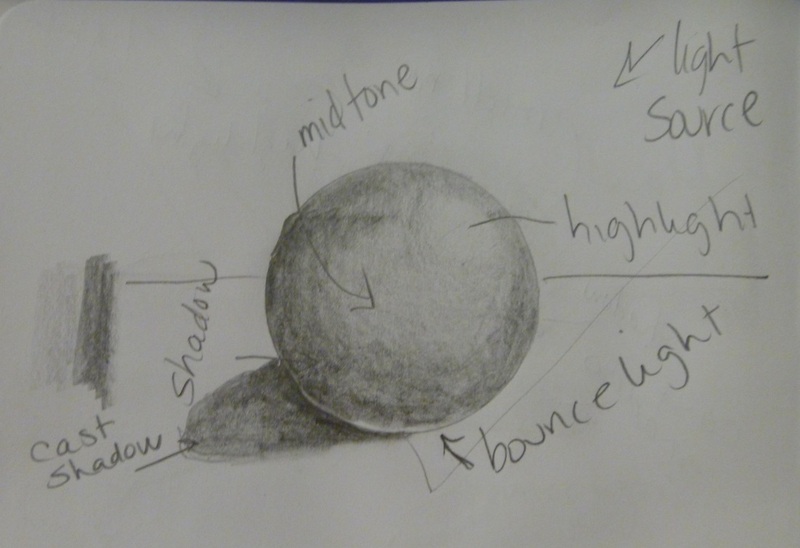 What did you learn from the sphere shading activity? What did you learn from the Tantamounter?